Bridger was excited to spot this very large caterpillar one morning in September of 2010. He thought I might like to make its portrait. He was right! I don’t know what caterpillars contemplate in general, but this one was trying to start to spin its cocoon. Talk about an opportunity for deep contemplation, the time spent metamorphosing, wrapped in a cocoon, might just be time for deep coming-of-age thoughts! Should we take a cue from the moth and butterfly world, and tightly wrap our teenagers in swaddling clothes to contemplate their coming of age years? This entry was posted in afternoon flashback, photography and tagged 2010, insect, leaves, nature, photo, Photograph, Photography. This one is so ugly, that it becomes beautiful! Fantastic shot! A dog is definitely cuter, but this one is so much more special! 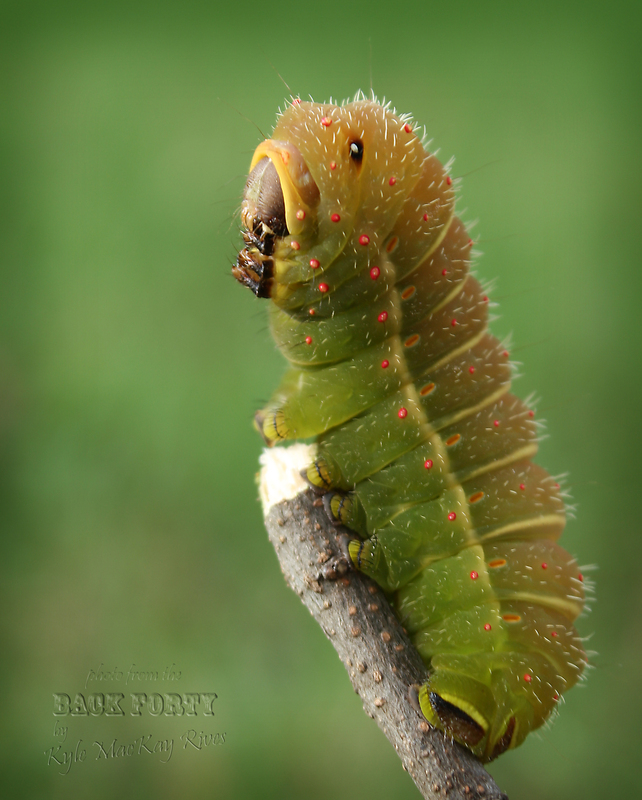 That’s one nice sharp picture of a caterpillar. I’d say the contemplation was more on your part than its. I was just teasing. I do appreciate the picture’s sharpness. Wonderful image – beautiful colour and detail. I will pass the link to this post to family & friends.